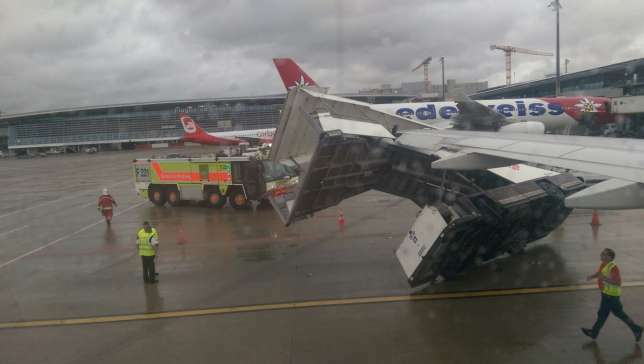 Flight LX318 to A320 wingtip collided with mobile stairs (motorized) during pushback from gate D31 at Zurich Thursday morning. The flight was ready to take off to London Heathrow. The stairs remained impaled on the wingtip. 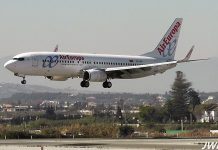 Local news item said passengers were transferred to another aircraft with about a 90 minute delay.